Art. 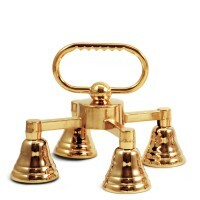 H998Three tone 24k gold plated bellL. 15 cmh. 9 cm.The gilt is guaranteed..
Art. 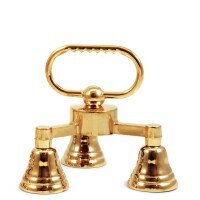 H999Four tone 24k gold plated bellL. 19 cm.h. 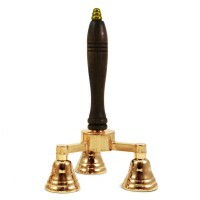 9 cm.The gilt is guaranteed..
Art. 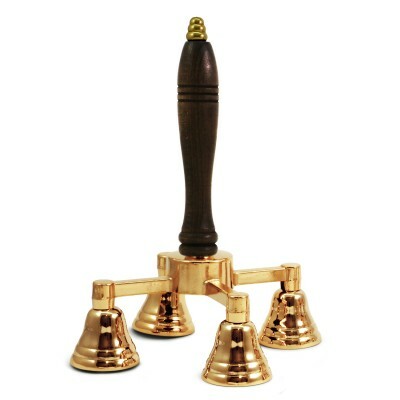 H996Three tone 24k gold plated bell with handleL. 15 cm.h. 23cm.The gilt is guaranteed..